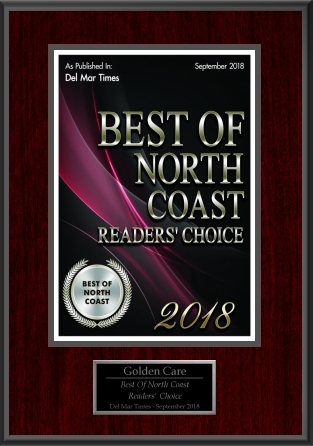 GoldenCare was voted “Best of North Coast-Readers Choice Award of San Diego 2018” in-home care agency. We are very honored to receive such a prestigious award. We value taking the highest quality care of our clients and employees. If you or an aging loved-one are considering Home Care in Rancho Santa Fe, CA, please contact the caring staff at Golden Care today. Call us at 760-828-5201.